Bridal salon owner and event designer Belle Manjong shares the methodology of bridal style. When starting to plan the details of your wedding day, two aspects likely come to mind: your bridal gown and your wedding theme. While these are often chosen separately and paired together in hopes that they mesh, we feel that the most beautiful celebrations are those that take both the ensemble and décor into account as a cohesive unit. Just as you choose jewelry and accessories that work with your gown and want wedding decorations to complement your venue, it's also important that your wedding dress blends beautifully with the décor you've worked so hard to design. 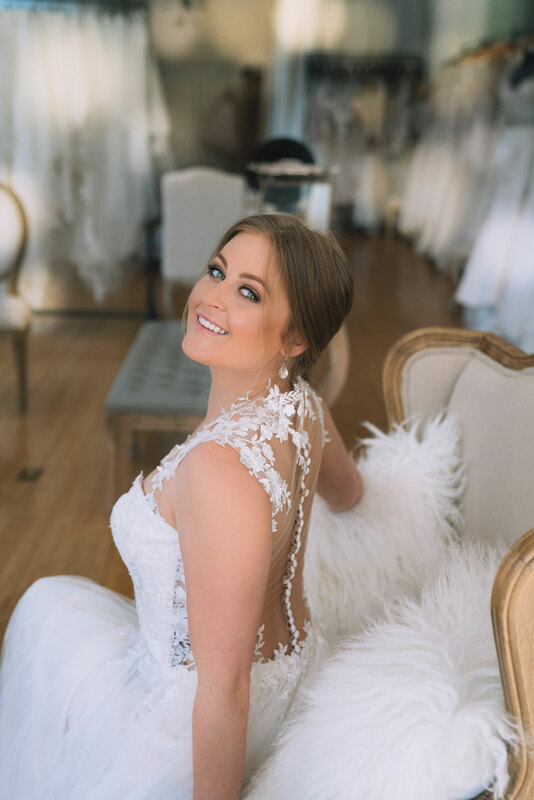 Since she's not only the owner of a bridal salon but also an event designer, we asked Belle Manjong of The Boutique by B.Belle Events to share her expert advice on marrying the style of your wedding dress and the theme of your nuptials. 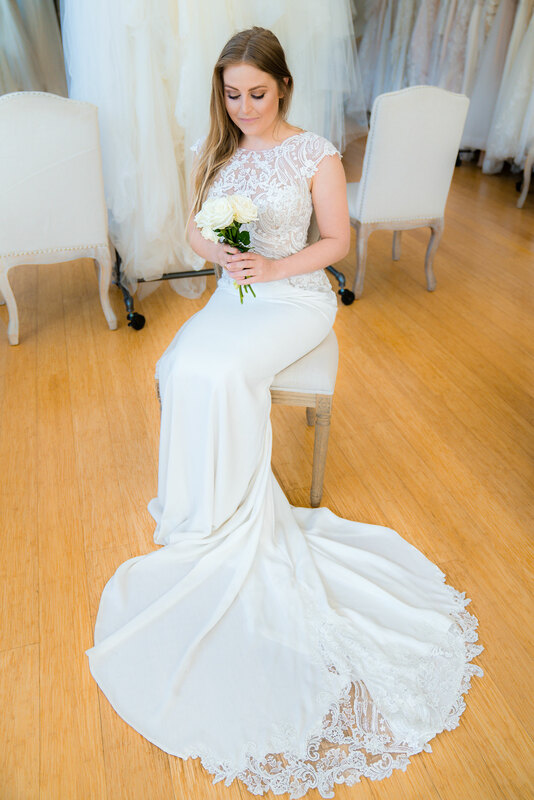 Read on to discover her tips for curating your wedding style, and be sure to pick up a copy of the spring 2019 issue of Inside Weddings on newsstands or purchase the digital edition on Issuu to see one of Belle's brides, Sarah, marry her beloved in a personalized fête with unique details designed by The Boutique by B.Belle Events. It is said that one’s style is an expression of who you are without saying a word. A bride’s wedding day is often the pinnacle showcase of her personal style – individually, and as a couple. When properly styled, guests will be swept into mood and atmosphere evocative of the theme the bride and groom have selected to celebrate the special day. The methodology of style can commence in one of two ways. First, a bride can begin with the vision she has for her wedding day – a theme (for example winter wonderland, or bohemian garden soirée). With a defined theme in mind, three words may be used to further distill it down to the most essential terms. These three words will helpfully serve as a point of reference as she shops for her wedding gown. Having selected a romantic A Mid-Summer’s Night Dream theme for example – romantic, sparkle, dreamy – are three words that conjure up the essence of her theme. A bride may find that an effortless lace gown, with an off-the-shoulder flutter sleeve detail checks off the romantic and dreamy aspects. At the same time, the manner in which the gown drapes and caresses her back, along with embellishments that will sparkle just-so by candlelight, emphasize the sparkly and dreamy qualities of the theme. This method allows a bride to look at a gown and effectively determine whether its attributes complement the essence of her predetermined wedding theme. Conversely, the bride may first find her perfect gown and then determine the essence of what the dress evokes (romantic, dreamy, and whimsical, or regal, sophisticated, and elegant). From there, she may proceed with planning the remainder of the wedding based on those elements. Note how the three words used to distill the “theme of the gown” are adjectives that readily paint a picture in the mind’s eye. Beginning from this perspective, a bride may see inspiration in the architecture and structure of a prospective venue based on attributes of the gown she has chosen. For example, the belled sleeves of her empire gown may complement the belled columns in the ballroom of the venue, further highlighting the romantic aspect of her theme. Likewise, the soft silk pleats and crystals on the bodice may call to mind the grand staircase of a venue. Candlelight scattered and placed along the same staircase may in turn complement that gown’s dreamy and whimsical attributes, further reinforcing the effect she wants her guests to not only appreciate but also experience. Following this method, the gown serves as the source of inspiration for most every aspect of her wedding, from invitation design to the linens set on the table. The ideal is for a bride to look perfectly beautiful on her wedding day; not underdressed, not overdressed. No bride wants to clash with the overall look and feel of her own wedding. At a minimum she wants her guests to see and experience her putting her best foot forward. Whichever methodology is employed, what is most important is that all of the elements work well together cohesively, harmoniously, and provide well-received insight into the unified pair. For more advice from Belle, discover trunk show advice from the nation's top bridal salons, and be sure to sign up for the Inside Weddings newsletter to get alerted of bridal events at The Boutique by B.Belle Events and more salons across the country!